Friends of the Jones Library System News: Done with your books? 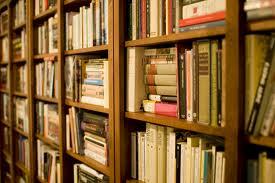 If you've got books just languishing on your shelves, the Friends would love to receive them! During the first seven days of each month, you can donate up to two bags of books, DVDs, and audios in good condition (no textbooks) at the Jones. If you have larger amounts or special items, just speak directly to Linda Wentworth, Head of Collections, at 259-3090.